Why not take a Video Tour? By popular demand, we needed another Glamping dwelling with private family bathroom. 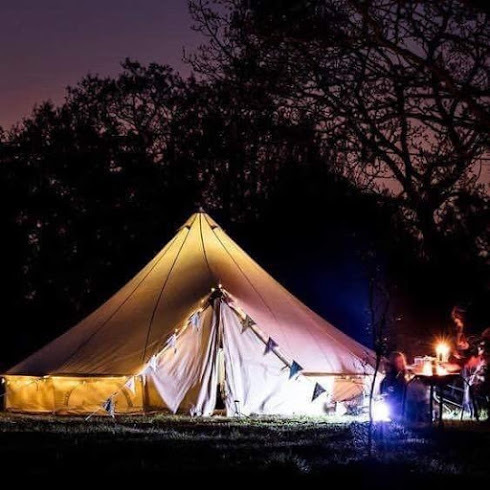 After much thought and deliberation we decided to use a top quality, traditional, canvas, BELL TENT, six metres in diameter. It will have a superking double bed and upto three single beds and also room for a cot. 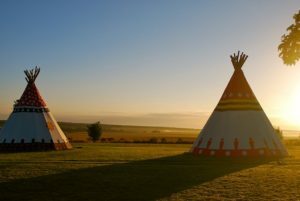 The comfort level will be the same as our magical tipis, very comfy beds, excellent quality, white cotton linen, hypoallergenic duvet and pillows. Tastefully decorated and furnished, including atmospheric lighting, electric sockets and Wi-Fi. You will have your own private bathroom, with large shower, basin, loo, vanity table, chair and mirror. We are offering the Belle Tent at 100 euros per night or 700 euros for seven nights. 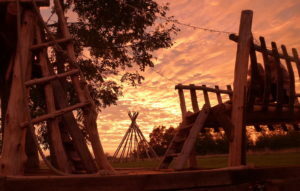 This price includes full use of everything we have to offer at Glamping Tipis. After travelling the world we decided to make some big changes in our lives for the better. 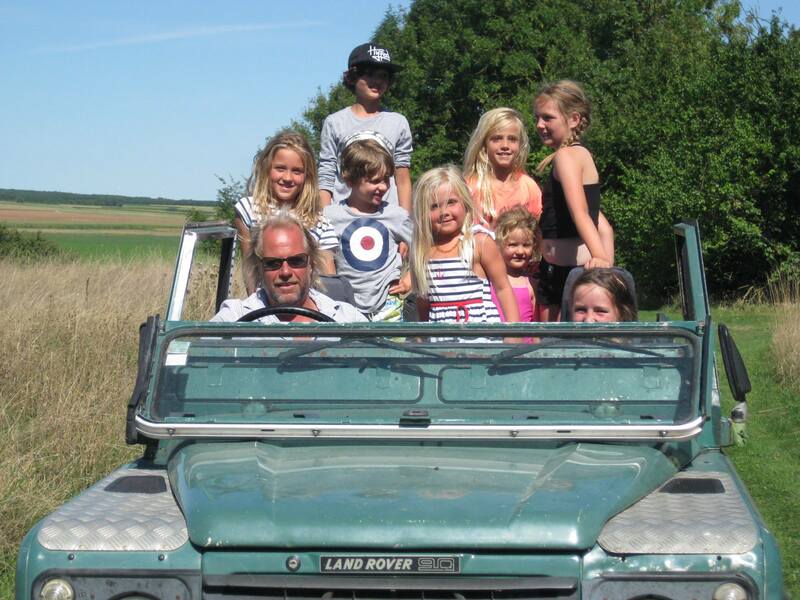 We started our family in Sussex 2006 and then moved to the Charente, France in 2007. We now have three lovely girls aged 7, 11 and 12. 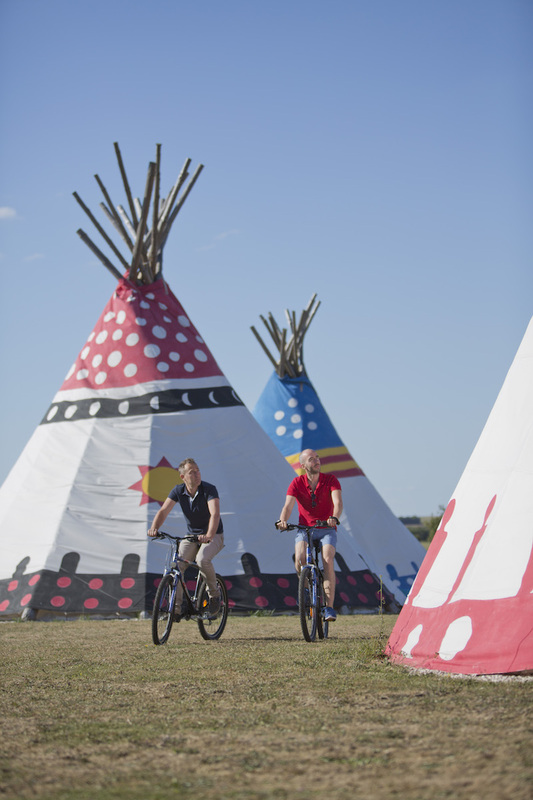 We opened Glamping Tipis in 2013. On our world tour we stayed at 44 different places which gave us a really good idea of what we love and enjoy. We wanted to create an exciting alternative family holiday place for adults and kids to enjoy together. We bought the tipis from a company in America renowned for tipi making. They are the biggest they do giving a floor area of 50m² (500 sq/ft) and over six metres high inside. 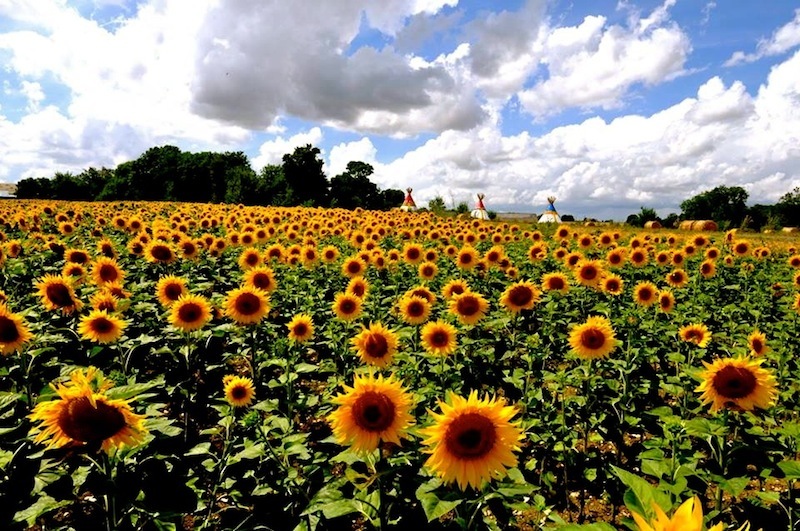 With the poles they stand over eight metres tall. They all have traditional Indian designed artwork painted on them. 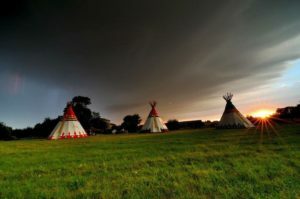 Each tipi has a superking bed and three or four single beds. Quality wooden cots are also available for baby glampers. The mattresses are very comfortable and all the linen is good quality white cotton. All duvets and pillows are hypoallergenic. The floors have a specially made waterproof ground sheet with various animal skins scattered on them. There is also chest of drawers, chests and small tables. 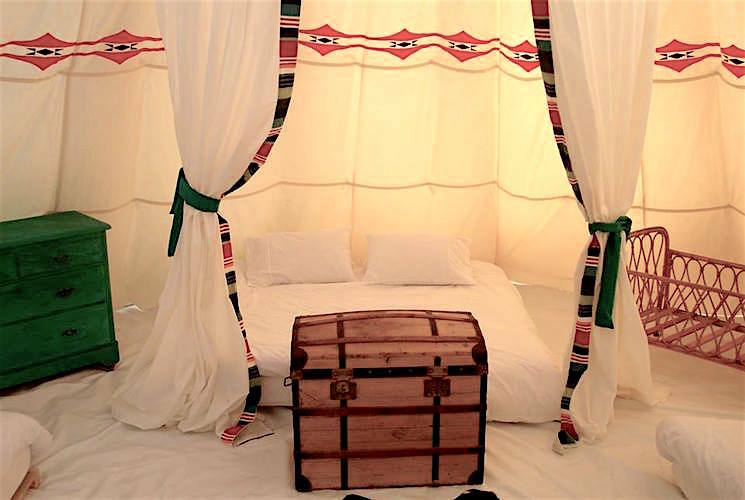 Each tipi has electric sockets, bedside lamps, fairy lights and good wifi signal. The tipis are lined inside with canvas and together with the spacious volume, this all helps to keep the heat of the day out and an even temperature. All the entrances face east so in the morning the first thing you see is the rising sun. This is another Indian tradition. The Glamping Ground is vast and open with views across the Charente countryside and plenty of space for the little people to play in. It’s also designed so mum and dad can keep a close eye on things whilst relaxing themselves. In 2015 we brought the sea to Glamping Tipis by creating our own lagoon and beach. We call it La Mer! We excavated 500m2 of our field to create La Mer. The beach, made up of 100 tonnes of sand, surrounds the 250m2 of water. The salt water is kept clear using sand filters and electrolysis 24/7. The whole area and water is regulated by a government body with monthly inspections. The entire area has a 1.5 metre fence surrounding it with a self closing gate that young kids cannot open. You also get wifi here! In addition to La Mer, the kids have plenty of space to play in along with the wooden Viking Ship, our zip wire and loads of toys and games, such as table tennis, badminton, baseball, cricket, boules, bikes…etc. Woody’s is the bar, kitchen and the hub of Glamping Tipis. Woody’s terrasse is shaded by huge trees and is perfect to relax, eat lovely food and drink good wine. 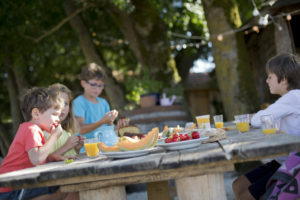 From the terrace you have far reaching views of countryside and you can also keep an eye on the kids playing on most things we have to offer. 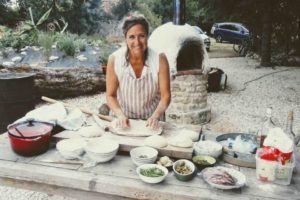 Woody’s kitchen is packed with all you need to prepare, cook, drink and serve. Each tipi has a fridge here and freezer space. There is a mini barista coffee machine, toaster, kettle, big oven, gas hob, sink, hot water, etc. We have loads of plates, bowls, mugs, cutlery, serving plates, glasses, saucepans, chopping boards, etc. Woody’s bar is also the pass for the terrace and the sound system lives here so you can DJ your own sounds. Woody’s is designed to be different, fun and functional. On our World tour we realised that having your own private bathroom is really important. We designed separate bathrooms to be installed into a renovated pig shed. 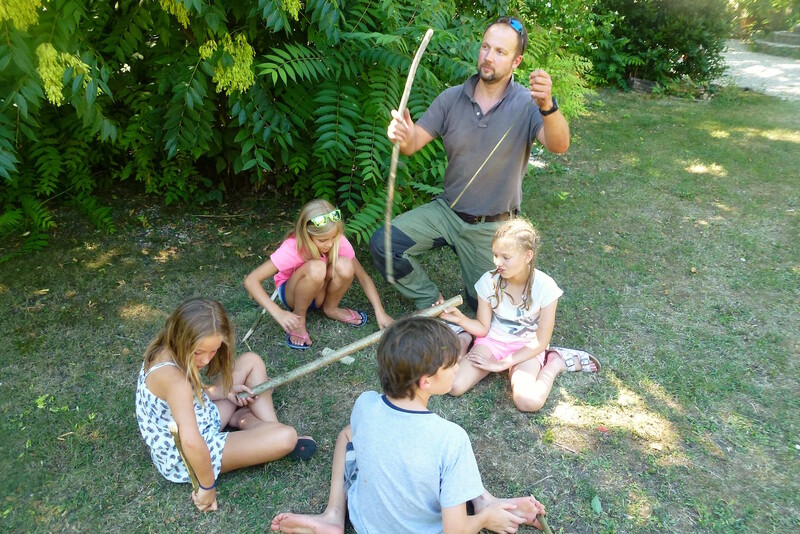 We have finished four completely (one for each tipi and one for the belle tent). There is also a laundry room with a washing machine, tumble dryer and butler sink for you to use. 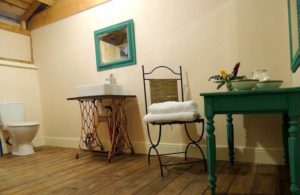 Each bathroom is very spacious with a large walk-in shower, loo, basin set on a Singer sewing machine base, vanity table and mirrors. We used colour impregnated plaster on the walls, walnut stained floorboards and modern white hardware. We supply all the white fluffy towels and loo rolls. All the lights are automatic and the doors are keyless entry. 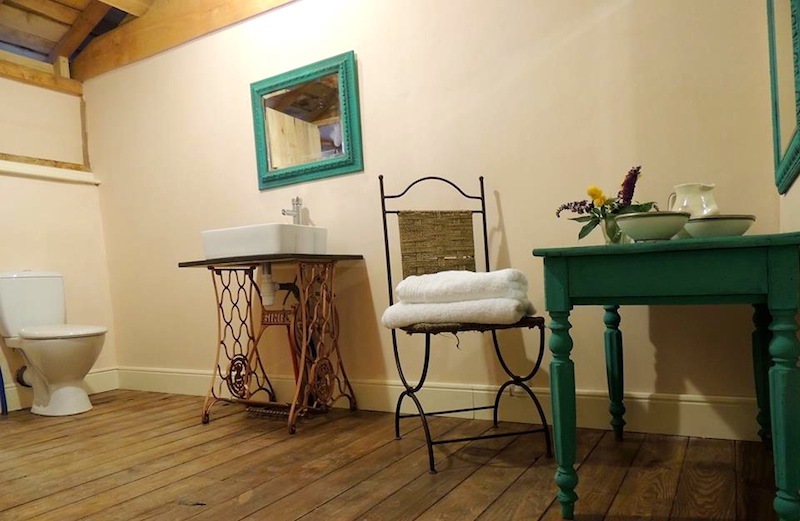 Each bathroom has it’s own hot water tank, electric sockets and a safe. We are John & Sam Kegg and our three daughters Florence 12, Isabelle 11 and Nellie 7 and our little dog, Bertie. 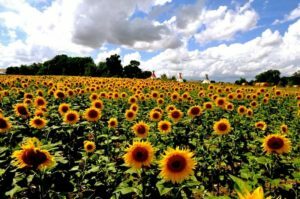 We live and work here in the beautiful Charente region of south west France amongst the vines and the sunflower fields. Sam is a classically trained and qualified chef with more than 25 years experience and registered traiteur here in France. 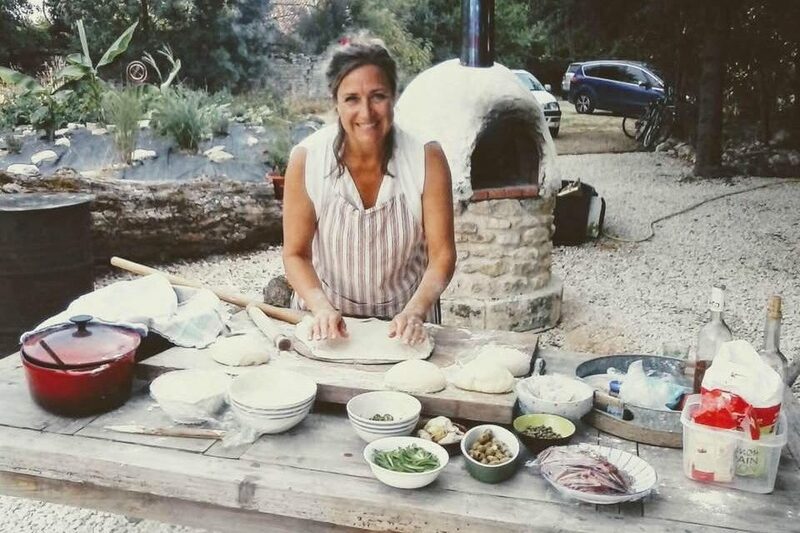 Seldom is she seen without her apron, but if truth be know she loves nothing more than rustling up yet another masterpiece for hungry glampers. John is qualified carpenter and joiner specialising in funky stuff with wood. We moved to France from Sussex, England, in 2007 to take advantage of the rich and peaceful country life on offer in rural France. 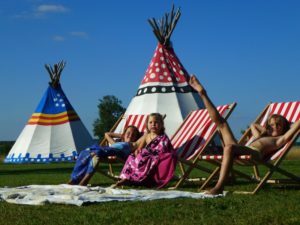 Our aim was simple: to make Glamping Tipis a special place to stay, unwind, bask in the sunshine and share the finer things in life with your family. We are flexible, which means you are not restricted to weekend changeovers (even in high season) because we know life is too random nowadays. 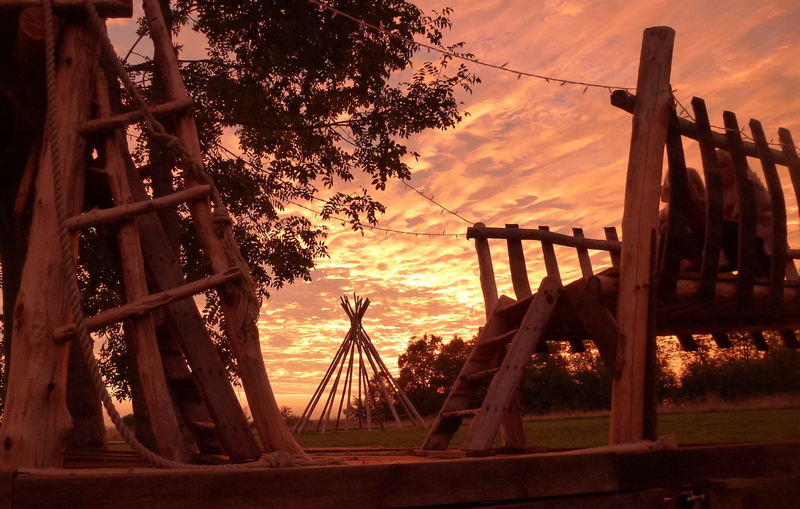 Each tipi sleeps up to 6 people. 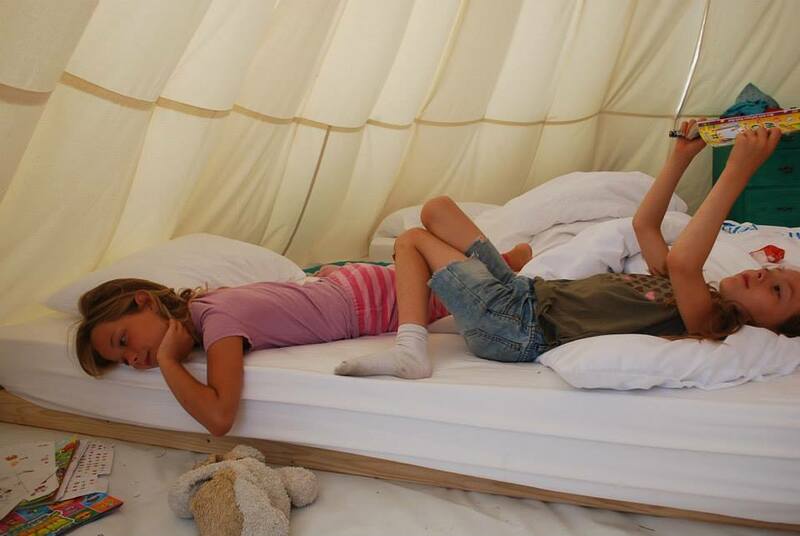 We provide plenty of options for sleeping arrangements for families and other groups, so please contact us. Please phone John and Sam if you need more advice or help. We will send an invoice via Paypal. Payment can be made online either with your Paypal account or credit / debit card. There is no need to have a Paypal account to use this service, which is free and secure. To confirm a booking we ask for a 33% deposit which we will request once we’ve agreed the cost of your stay. The balance can be paid on your arrival by cash in Euros please. We also accept french cheques in Euros and bankcards plus 3%. Please get in touch should you have any further questions or wish to discus other payment options. All rates are based on a minimum two night stay (you really need to stay at least two nights to appreciate the place and relax). Check-in / check out times are totally flexible. 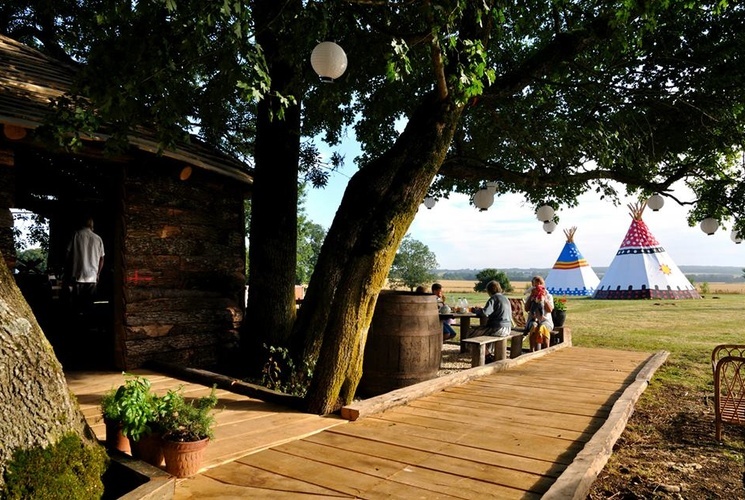 Exclusive use means you have all three tipis to yourselves, Woody’s Bar / kitchen area, all three bathrooms and five acres of land. You also have exclusive access to the swimming lagoon too of course! Accommodation for 15 people plus babies. 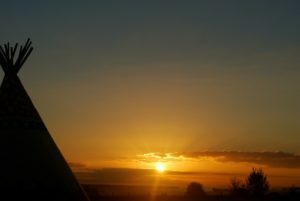 Glamping Tipis in France is located in the beautiful Charente countryside, in a tiny village which offers peace, tranquility and views for miles around. You are, however, never too far away from a traditional boulangerie or French market and you can visit the Atlantic coast with a trip to La Rochelle or Ile de Ré.
. You can reach us in 5 – 8 hours by car from Channel Ports depending on crossings.